I was going through some stuff with Ron Sass this morning (don’t worry, he’s fine!) 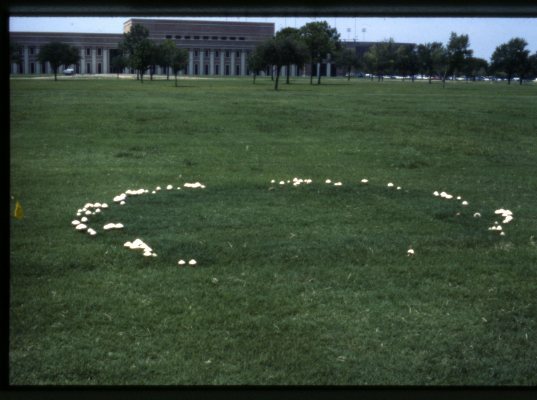 and I was happy to come across these images of a pretty nearly perfect fairy ring in front of the Shepherd School. They were dated too! Are you sure that was a student, and NOT Puck of Pook’s Hill? Let us know when you run across Gunga Din. Are you sure that the campus clears? 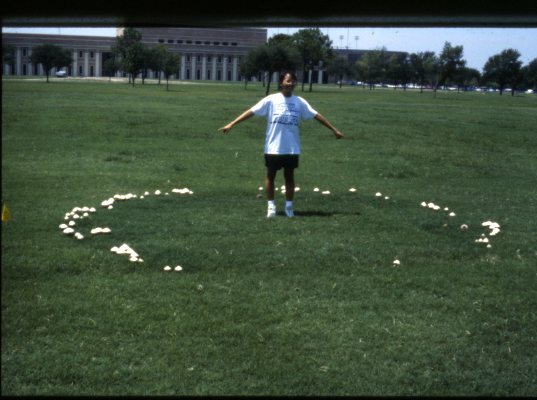 Perhaps they all go underground to a Rice watering hole.